I'm back with an awesome duo from Forever Polished. Ocean Monster is new to the shop while Sea Monster is an obvious favorite. As soon as I opened my review box, I knew these were meant to be together. They're perfect for one another! Check out this match made for a mermaid under the cut! Two easy coats and this built up to full coverage for me. I didn't have any problems with application or dry time. One coat of topcoat finished it off. 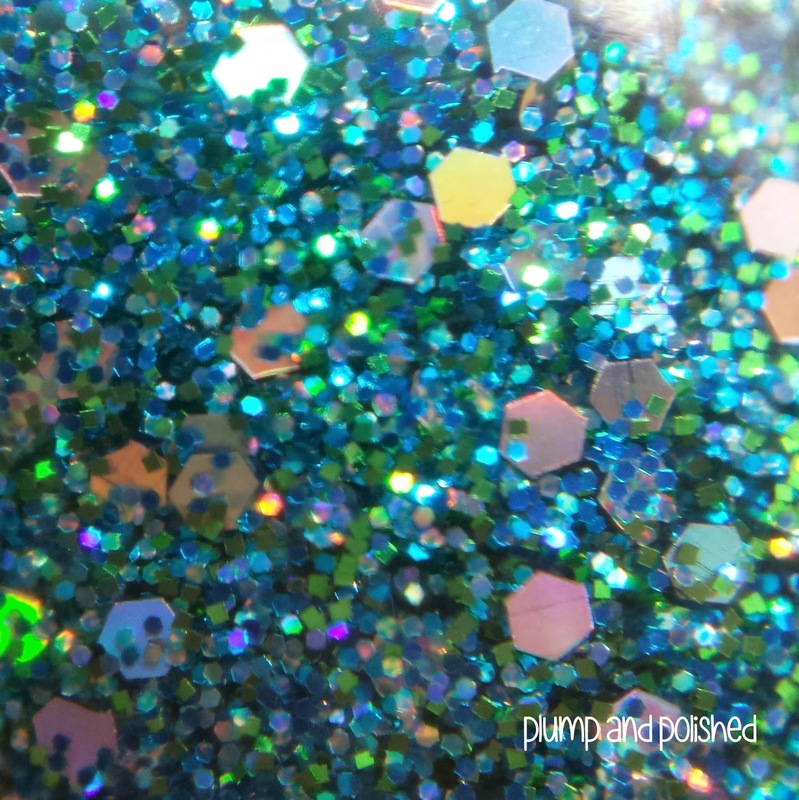 It was nearly impossible to capture the green shimmer. 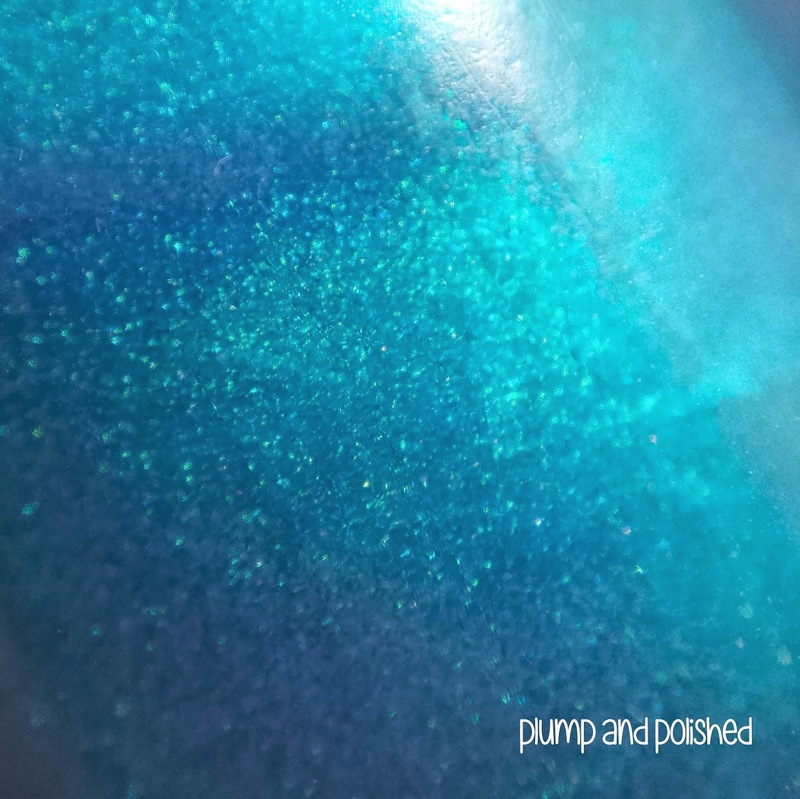 It gives the polish a more aqua look and makes it glowy. Just one coat of this magical polish gave me nearly full coverage. This has an awesome formula that was so easy to apply. An effortless application that only needed one coat of topcoat to gloss it over. So, how perfect is this combo? They weren't technically made for each other, but they were definitely destined for greatness. This is a mix for a mermaid if I've ever seen one. I LOVE IT! You can find Forever Polished's store here. Ocean Monster and Sea Monster are both full size bottles that are each $8 USD plus shipping. NOOOO! I'm not responsible for your death! These are beautiful alone, but paired together they're magical!